Not long ago we took photos on film cameras and then took the film to the drug store, picking it up a few days later. You’d never know what to expect until the pictures had been developed. Why did I take a picture of the floor, you’d ask yourself. Or you’d be alarmed by the glowing red eyes that resulted when using the flash. Those were the days! Nowadays, we take the majority of our precious photos on our phones. With camera phones improving with each release, we aren’t going to stop any time soon. Why Use an iPhone Tripod? These days, our cell phones can do it all. But for certain things, a tripod is really helpful. Aside from shopping and using Instagram, most of my friends use their phones for taking photos, when they cook, and using the video feature (ie. youtube, facetime, etc.). I’m pretty much the same. Do you like taking pictures of your family or find it hard to keep the camera steady in poorly-lit situations? I generally take the photos in our family, which means I’m barely in our pictures. And as much as I try to keep myself steady and hold my breath like a scuba diver, my photos end up blurry in low-light situations. Using an iPhone camera stand easily solves these situations. Do you like pinning recipes to your Pinterest board or watch youtube chef videos while you cook? With the abundance of cooking recipes online, I’ve created the largest Pinterest board of recipes known to man. Whether it’s a written recipe or a cooking video on Youtube, cooking with messy hands is not an ideal time to use the touchscreen on my phone. Hands-free is the best way. Do you like to use FaceTime for making video calls or like watching makeup videos (insert other random things on youtube here) to relax you? Or maybe you need an iPhone stand for filming. Now that my grandma has learned how to use FaceTime on her iPhone (go grandma! ), I get video calls from her at least 3 times a week. I’ve been holding my phone in my hand since forever and it’s not a big deal, but using an iPhone stand is 1,000 times easier, trust me. In the morning, I also like watching Youtube videos when I’m getting ready (I’m great at multi-tasking). I’ve even been known to set up my iPhone stand when filming my son’s soccer games. It means I can focus on the game. Can be used low to the ground or high. Part selfie-stick, monopod, and tripod. If you’re looking for a simple tripod at a bargain price, I recommend this one. 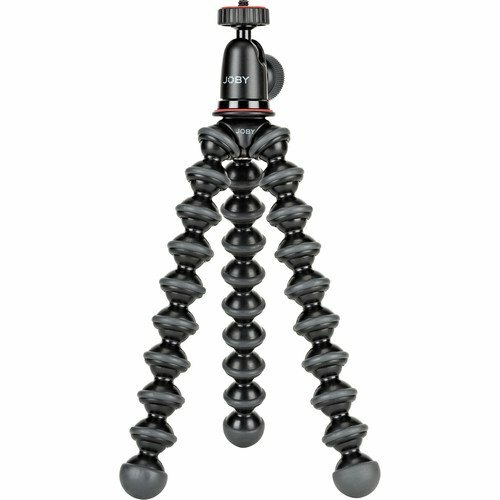 Its reasonable price makes it a good travel tripod or good beginner tripod. There’s no need to worry if you lose it. 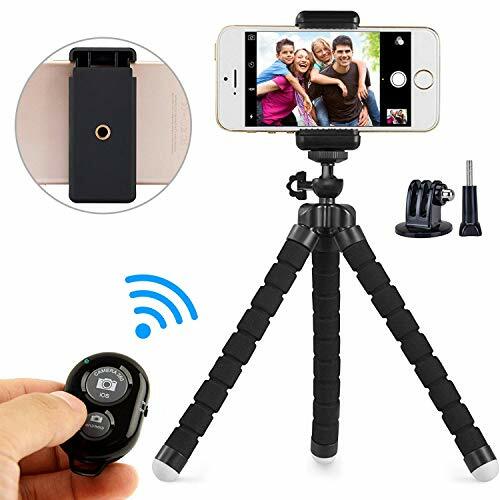 Despite its low price, they’ve also managed to throw in a Bluetooth remote so that you can take photos on your phone from a distance. It also comes with a little bag for storage or travel. To use, just open the three legs until they’re evenly spaced apart. Then, set it on your table, desk, kitchen counter, or wherever you like. To use the Bluetooth feature, get your tripod and camera into a position and press the remote button. Wrapped around an object – The bendy legs can be wrapped around anything stable and won’t budge at all. This tripod’s design is unique and eye-catching. 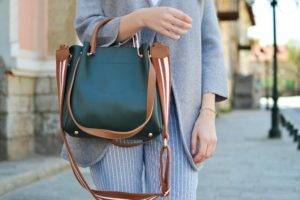 Instead of the usual three-leg design, this has five legs for extra stability and versatility. It fits all phones and rotates 360 degrees on a ball bearing. To make this flexible tripod for iPhone even more hands-free, it also comes with a free Bluetooth remote for capturing photos up to 30 feet away. Great for group photos, selfies or when you’re on vacation. The basic way to use it is to spread the tripod legs apart and then slide your phone into the tripod grip. It has a rubbery texture on the legs, which make it very stable and adds grip. Wrapped around an object – Whether that’s the mirror in your car or a kitchen handle, it’s all down to your own imagination. It’s a semi-professional tripod that’s a cut above your basic iPhone tripod. When you’re using it, it feels completely secure and stable. The legs do not bend unless you want them to and the tripod won’t slide around or collapse all of a sudden. You can either use it for its main purpose, with a fancy DSLR camera, or you can use it with your iPhone. To use it with your iPhone, just use the bonus phone adapter that comes with it. Using it is also easy and straightforward. Just pull the legs apart and set it on your table, desk, kitchen counter, or wherever you like. Selfie-stick – Straighten the legs and then bring them all together, like if you are holding a flower bouquet. It’s taller than most flexible tripods, so is great to use as a selfie-stick. A classic tripod with a hand crank, panning handle, level, and extendable legs with folding locks, it’s professional and dependable. Although it’s designed to be used with a professional camera, it comes with a free iPhone mount. After trying out many classic tripods like this one, I realized that so many are cheaply made and flimsy. This tripod, however, is the real deal. Firstly, spread the three legs apart until they won’t go any further. To raise the legs, extend each one and then lock into place with the folding lock. The hand crank can be used to fine tune the height and raises the central pole. To make sure things are level, use the built-in spirit level and wait for the air bubble to reach the center. Attaching the iPhone adapter is really easy and it screws into the camera plate. Position your iPhone exactly how you want with this ninja tripod. No matter how you move the arm, the wide tripod legs keep your phone balanced. 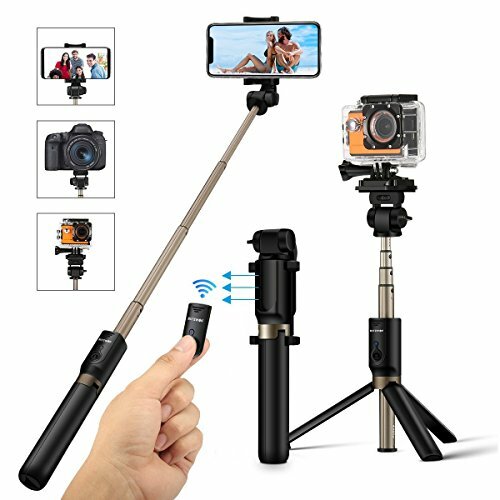 A great 3-in-1 tripod, you can either use it as a tripod, monopod (one-legged), or even as a selfie stick. It folds down to a portable size when you’re not using it. 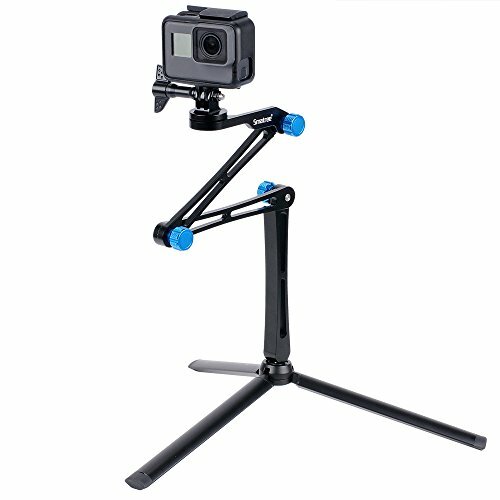 Made of high-quality aluminum alloy, the tripod feels strong and sturdy. It can be used with your iPhone, GoPro, and most compact cameras. 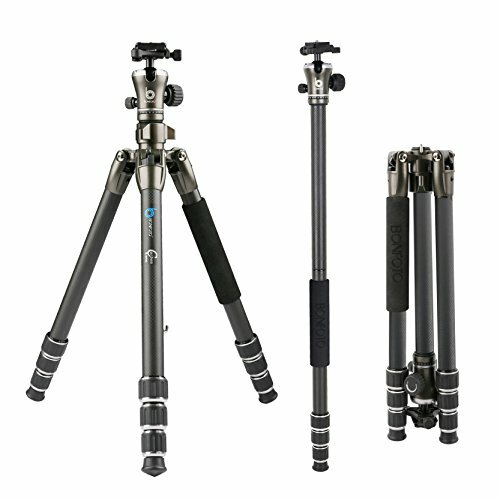 Tripod – To use as a tripod, just flip the legs out and position the foldable pole how you want. Monopod – To use as a monopod, close the legs and extend the pole to the height you want. Selfie Stick – To use as a selfie stick, close the legs and set the length of the pole to the length you prefer. Part selfie-stick, part tripod, and monopod (one-legged tripod), this versatile tripod raises your photography game (literally). Most tripods are quite short and meant to be used on table tops, but this one is tall. If you’re looking for a tall tripod for iPhone, this one is great. It can be used with your iPhone or DSLR camera and can be rotated. With a bonus Bluetooth remote that slides into the tripod, this is a very good all-rounder. It’s sturdy and is made of lightweight, but strong aluminum alloy metal. Non-slip padded feet, keep the tripod very stable. Because of the multi-use design, it’s best you read the simple directions that come with it. I will say that everything slides out and extends intuitively and locks into place automatically. For example, to raise the height of the tripod simply pull it and it will automatically extend to the height you want. 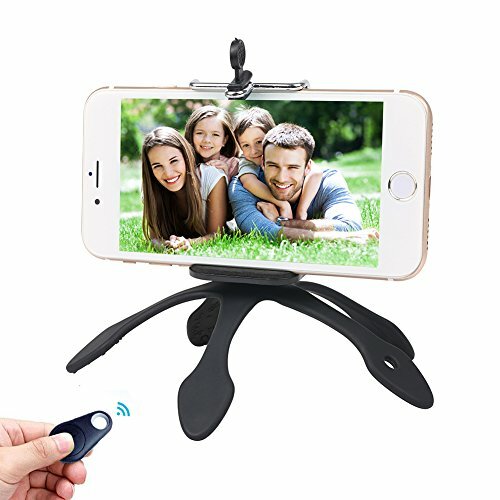 Selfie stick – with a built-in remote, this can be used for taking photos of you and the background. Monopod – For wildlife and on the go photography, this can be used as a monopod. Because it is one-legged, there is no need to set up the tripod legs, which is great for quick photos. It does one job and it does it really well. You can use it with your phone and with a DSLR camera. For a tripod, it is surprisingly adjustable and easy to use. The most interesting thing for me is the flexible “gooseneck”. It’s basically a bendable neck that can be placed in endless positions. Fully extended, the iPhone stand is over 7 feet tall. It’s pretty straightforward. Spread the tripod legs apart and depending if you use it with a DSLR or your phone, attach your device with accompanying adaptor. To adjust the position of your phone, just bend the “gooseneck” until it’s right for you. As our iPhone has become our main camera and multi-purpose gadget, it makes sense to get a stand for many reasons. 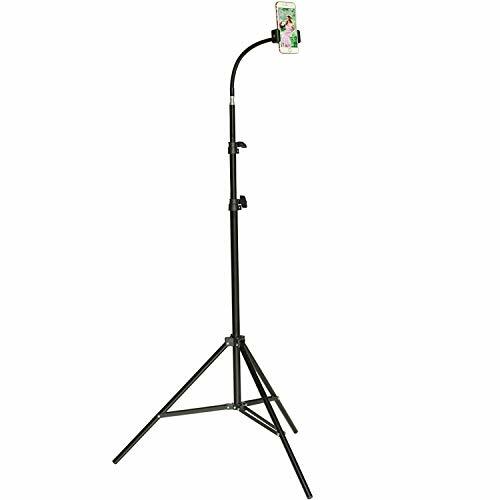 From budget to semi-professional, there’s a convenient cell phone tripod available for your specific needs. For me, this simple bit of kit has really made a difference. Have you bought an iPhone tripod? Which ones worked for you?